Flash game. Probably a bit heavy on the office admin. Still learning my trade with this one, so things were a little experimental. Luckily enough they kind of went with all my ideas from the off. I’ve since discovered how ludicrously rare that type of situation is. There’s a lot going on, though. 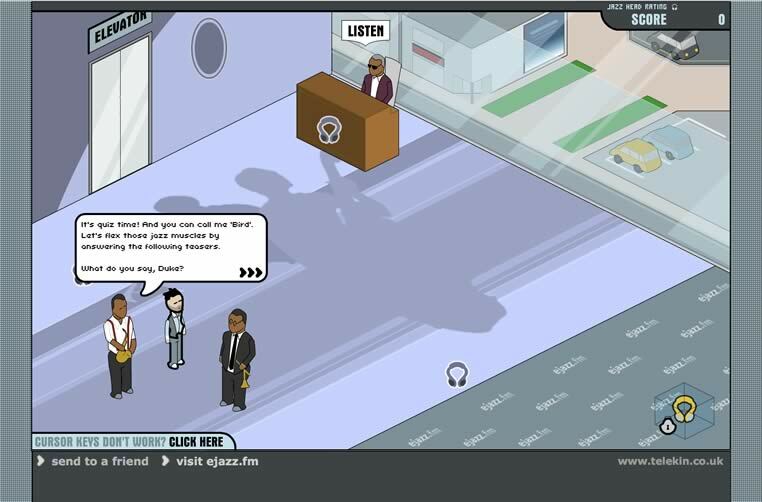 Choose a character and earn points as you wander through a building, listening to music and doing quizzes and that. It’s all jazz related, though, so pretty niche. I just played it myself for the first time in about ten years and failed miserably.